Motorcycle enthusiasts love the fun and wind-blown freedom of riding the roads – but they also know that motorcycle accidents can pose a major threat to life and limb. We know this first hand because we ride and have represented other riders who have been seriously injured while riding motorcycles, both on road and dirt bikes. 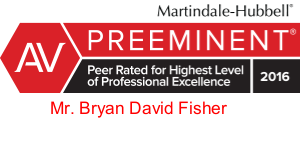 At Fisher Injury Lawyers, we have the experience and know-how to protect the rights of motorcycle riders who have been injured in accidents that are not their fault. 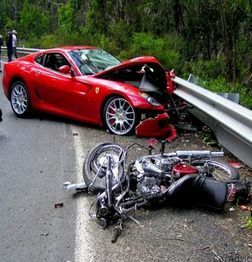 Unfortunately, many motorists automatically blame the motorcyclist for an accident – even though most of these crashes are caused by the carelessness of the motorist. No matter how careful a cyclist may be, there is always a chance that a motorist will fail to see your bike, turn in front of you, back out of a driveway in front of you or simply commit a serious and careless driving error that causes you to crash. If you are a victim in such an accident, our law firm can help you recover fair compensation for your injuries, as well as damages for medical bills, lost wages, pain and suffering, disabilities, bike repair or replacement and more. We encourage all motorcycle enthusiasts to wear protective clothing and a regulation helmet, and to always carry insurance. We sincerely hope you will never need our services because of an accident – but if you do, there is no better law firm to protect your rights and get you the compensation you deserve. If you have been injured or lost a loved one due to a motorcycle accident, we urge you to contact us online or by calling 225-766-1234 today. We will provide a free initial consultation – and you will not be charged any fees whatsoever unless we win your case.